Closeouts. Urban excursions are better when you’re wearing Merrell’s Veranda moc shoes. 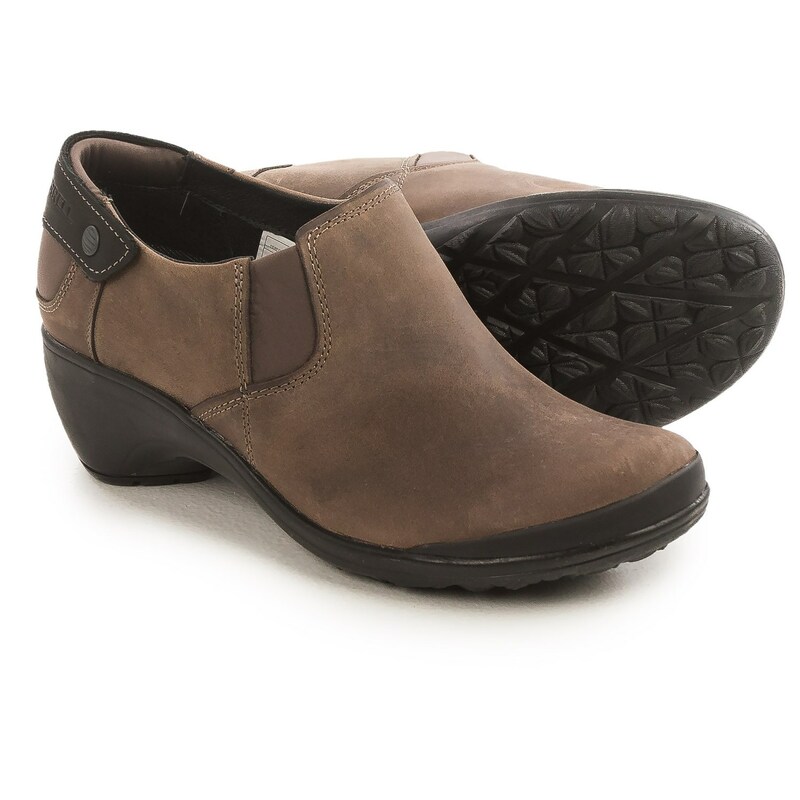 Crafted from full-grain leather and boasting generous underfoot cushioning, these classy slip-ons dial up the comfort factor with Air Cushion® heels for shock absorption and stability. Completing the package is a grippy rubber outsole for durable traction.